Information: Upright Channel is a 20-acre day-use park. The park -features walking trails, a picnic and beach area. Easy --------------access from land, to tidelands makes for an-enjoyable day ---------clamming on the beach for those who come by auto. -Visitors-can enjoy watching the many ferries plying Upright -Channel en route to Friday Harbor. Access: The park is not designed for access from the water. -There are no docks or mooring buoys. No overnight -camping-is -available at this park. Three acres of picnic-and beach area, six -picnic tables, two steel fire pits and a vault toilet. Moorage is -available by anchor only. Comments: Upright Channel is located about one-quarter mile -----east of Flat Point on Lopez Island in San Juan County. 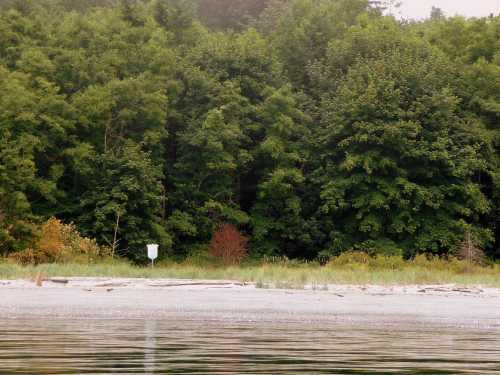 -----This small land-accessible park offers little for boaters, who must anchor and dinghy ashore. We suggest giving it a miss.